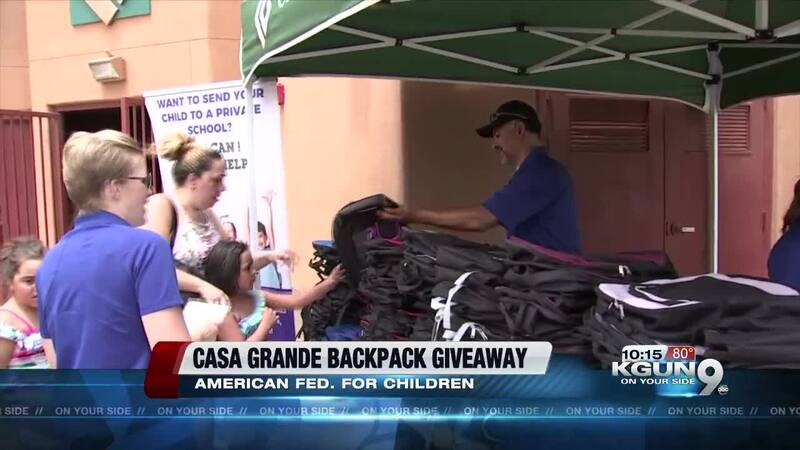 One-hundred students received free backpacks in Casa Grande Saturday as part of a giveaway. 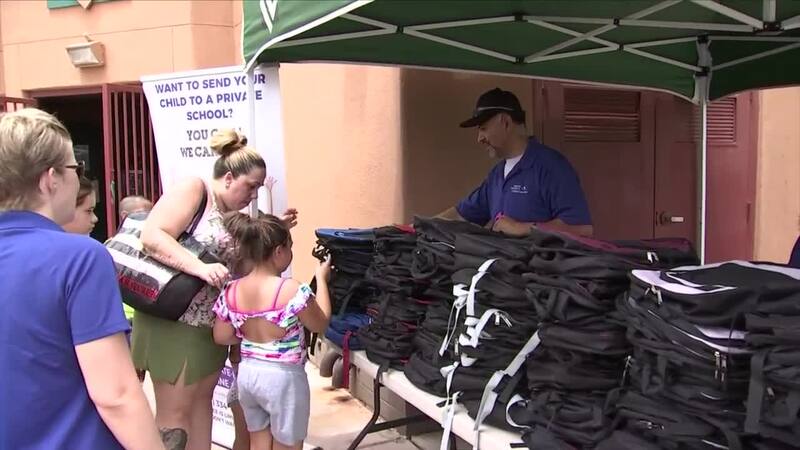 The American Federation for Children held the event at the Palm Island Aquatic Center. The federation advocates for Arizona families to access school choice options. We believe children should have the opportunity to attend any school that meets their needs, said Communications Director Kim Martinez. Parents at the event were also given the option to apply for scholarships for their children.